Holding that securing privacy rights of the citizens as per Right to Information Act was the duty of PIOs, Appellate Authorities and Information Commissioners, the Central Information Commissioner Professor M Sridhar Acharyulu (Madabhushi Sridhar) admonished (on 25th Sept) an abuser of RTI who tried to intrude into privacy of girl students of a school in Delhi. The CIC ordered prominent display of admonition to send across the message to abusers and people not to entertain such persons. The CIC directed the Principal of Sarvodaya Kanya Vidyalaya not to disclose personal information of school girls to ‘abuser’ petitioner. When CIC was trying to ascertain the purpose, the appellant refused to answer quoting Section 6(2) of Right to Information Act. When confronted with Section 8(1)(j) where Commission had to ascertain whether larger public interest demands disclosure or not, the appellant claimed that he belonged to an NGO and worked for girl education. When asked for details, he had no answer. Principal of the Sarvodaya Kanya Vidyala, on the other hand, openly challenged the claims of appellant and said he was misusing the RTI to divert students to his coaching center and also calling them on phone posing falsely to be an Education Officer to collect the details. The Principal also produced seven written objections by the girls and parents. She said that parents asked the school not to disclose details stating. She said appellant was neither a social worker nor associated with any NGO. She reported her superiors on 17th September 2013 her suspicion and the dubious claims of appellant. Central Information Commissioner held that appellant Rajesh Kumar had no public interest in seeking personal information of the girl students of the Sarvodaya Kanya Vidyalaya, especially of those who left before completing of 12th class during the years 2010 to 2013, including their names, phone numbers, addresses etc. The PIO furnished information regarding the number of students who took school leaving certificates during 2010 to 2013 and information relating to teachers etc on 7-6-2013. 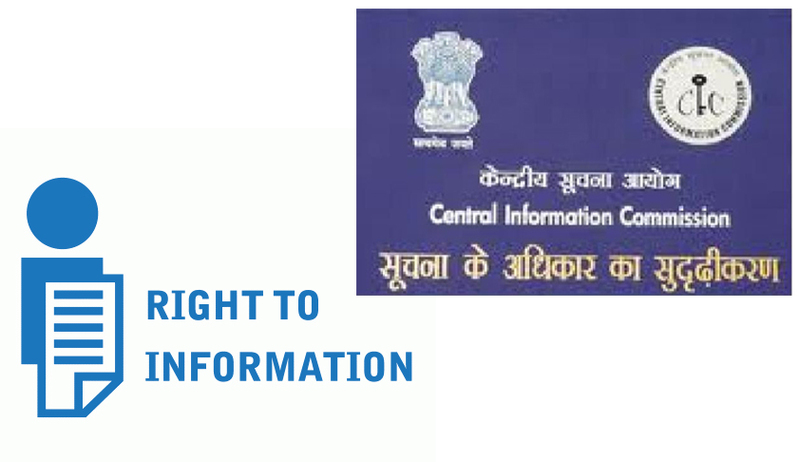 The CIC held that: While it is the primary duty of the Commission to ensure disclosure of the information to the citizen, it is equally important duty of the Commission to protect the private and personal information of the people from the undue intrusions by dubious characters, by enforcing the exemptions under RTI Act. The RTI Act for the first time codified the privacy of rights of the people through exemptions under Section 8. While appreciating Principal’s efforts to safeguard the girls, the Commission directed the Principal to inform it and parents as to what appropriate legal action and safety measures were initiated and its progress.